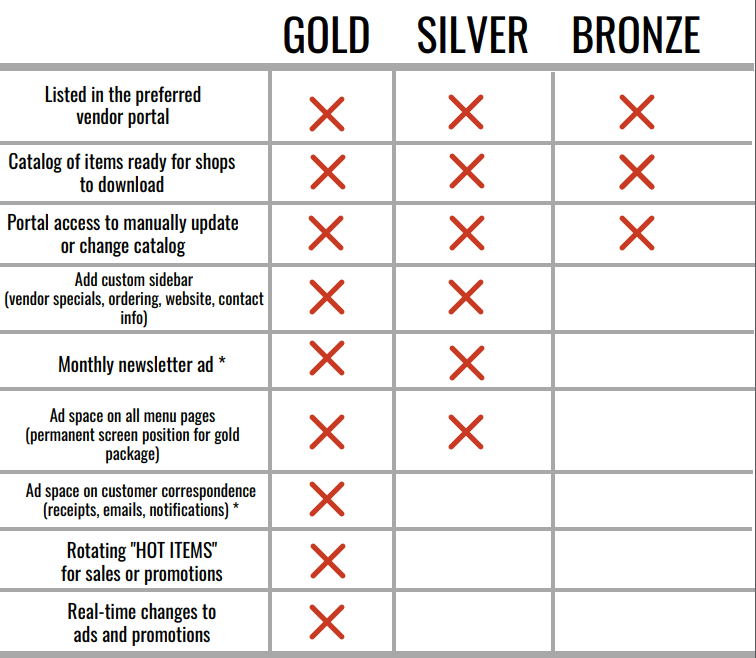 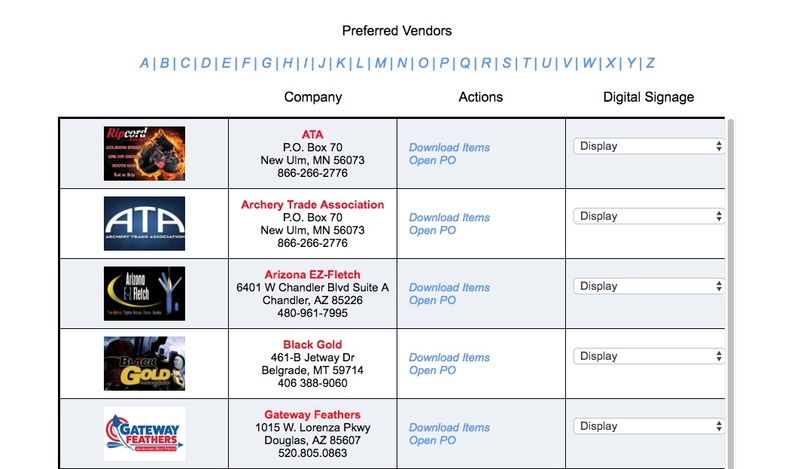 "Preferred Vendor" status with catalog and ordering one click away. 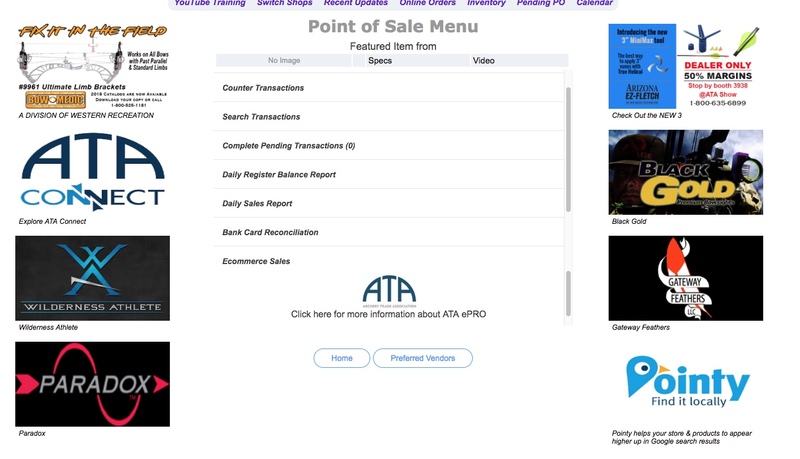 Rotating ad space on all menu pages. 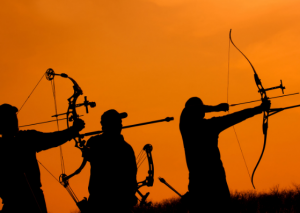 Have your promotional information on material given by our archery shops across the country!